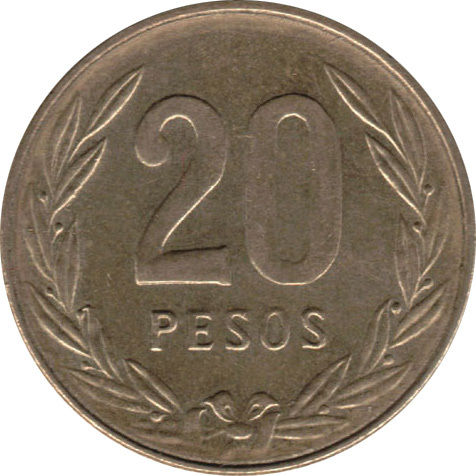 Poporo Quimbaya. 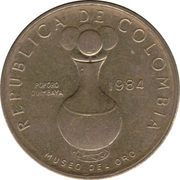 Its primary use was as a ceremonial device for chewing of coca leaves during religious ceremonies. It was made around 300 B.C. It is used to carry the lime to the mouth while chewing coca leaves. 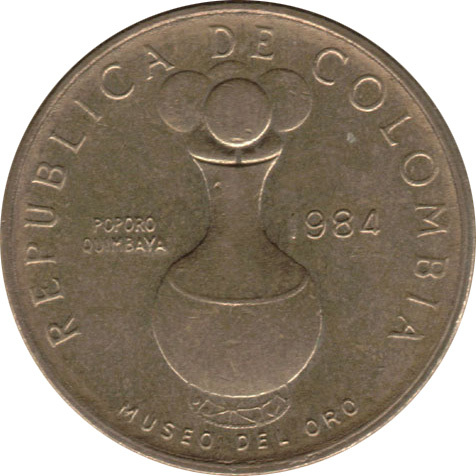 Exhibited in the Gold Museum in Bogotá, Colombia, it has been depicted in the Colombian currency, in coins and bills.